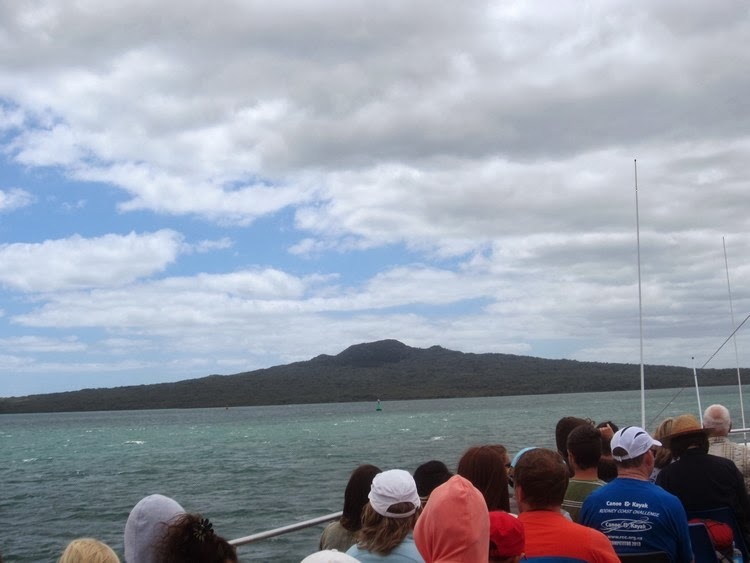 So, Saturday we went to explore Rangitoto Island. 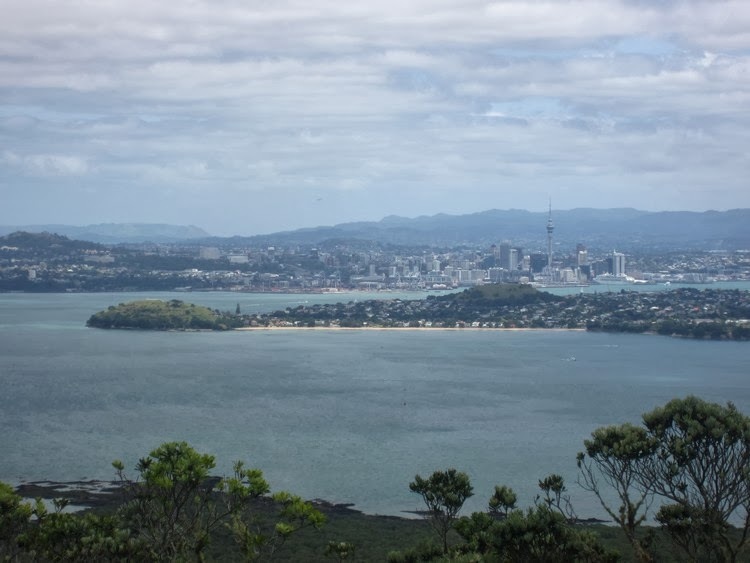 A volcanic island in the Hauraki gulf, 5.5km wide island, an iconic and widely visible landmark of Auckland with a distinctive symmetrical 260 m-high shield volcano cone. (Ta wikipedia!) 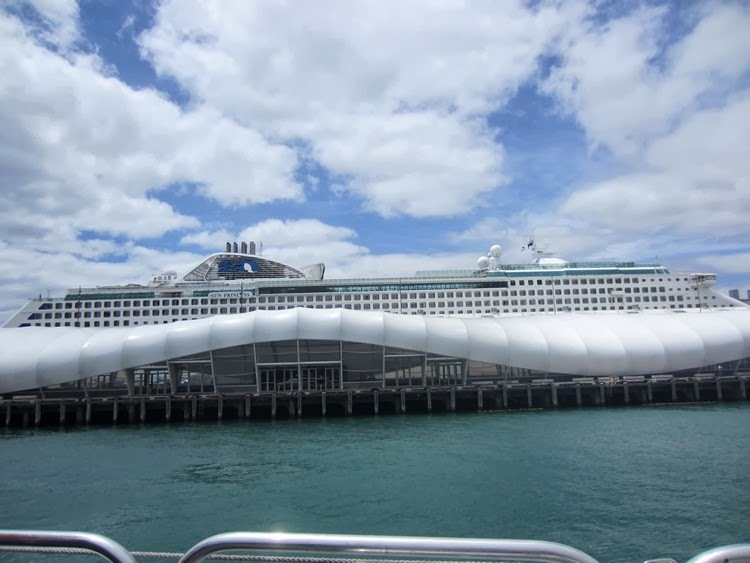 One of the main naturey tourist attractions of the Auckland area. 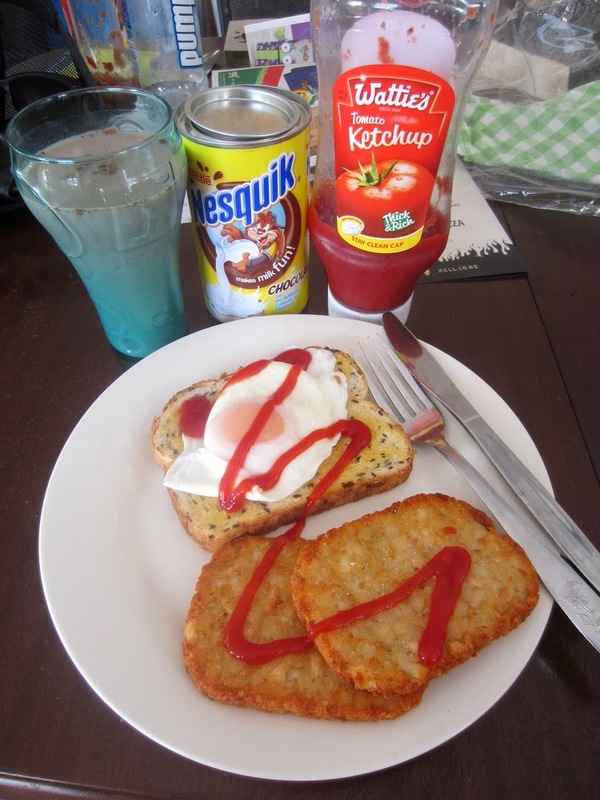 After a scrumptious home-cooked brekkie we took the bus to central Auckland. Surprisingly, it was free! Oh well, not complaining, and CC said he had heard something about public transport being free so as not to gunge up the roads with cars full of last-minute Christmas shoppers. 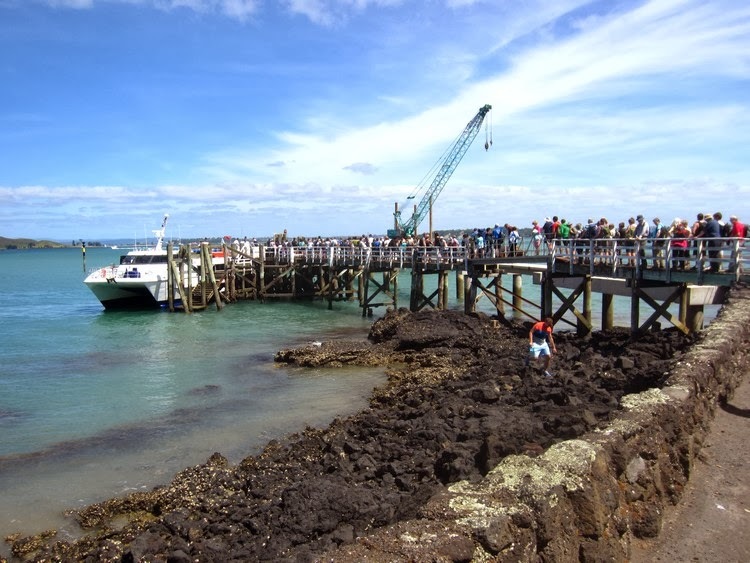 Then we got the 12.15 ferry to Rangitoto, via Devonport. (Where we visited a few days previously.) Sat upstairs and twas windy. 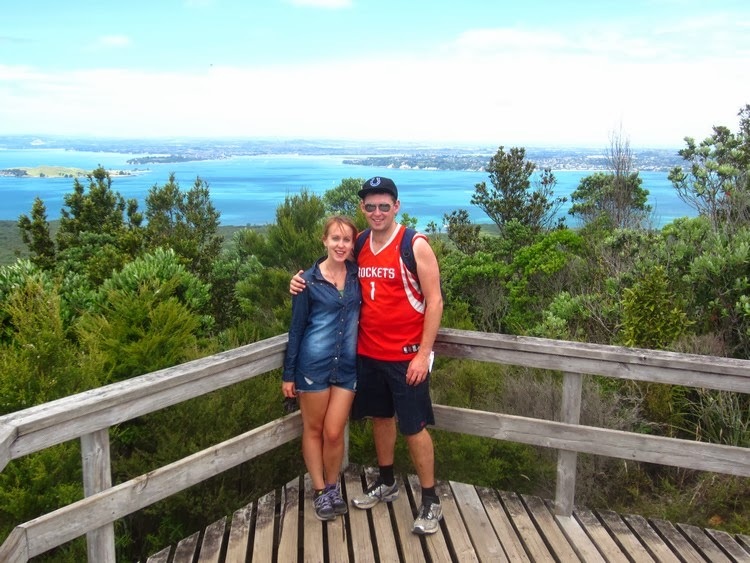 There are many things to do and explore on Rangitoto, but the main thing to do is get to the summit. You can do it by tractor (a tractor pulling a few carriages, complete with a tourguide or something), or by foot. We did it by foot. 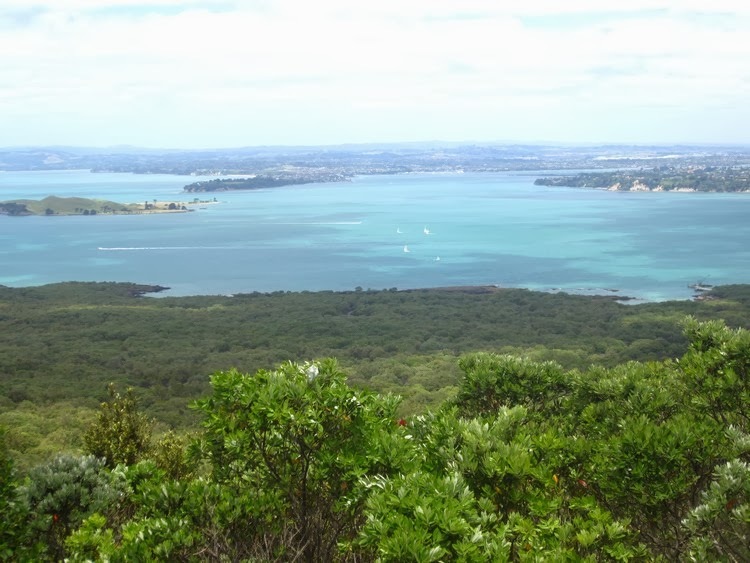 Since it's an isolated island (or well, I guess all islands are isolated), Rangitoto has its own nature and exotic plants etc. 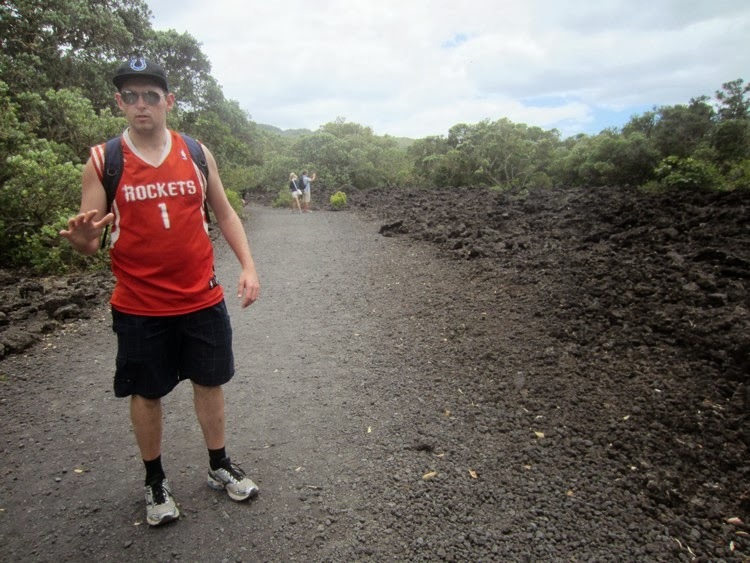 A lot of black volcanic rock too. Also it proudly now calls itself a “pest-free island”. 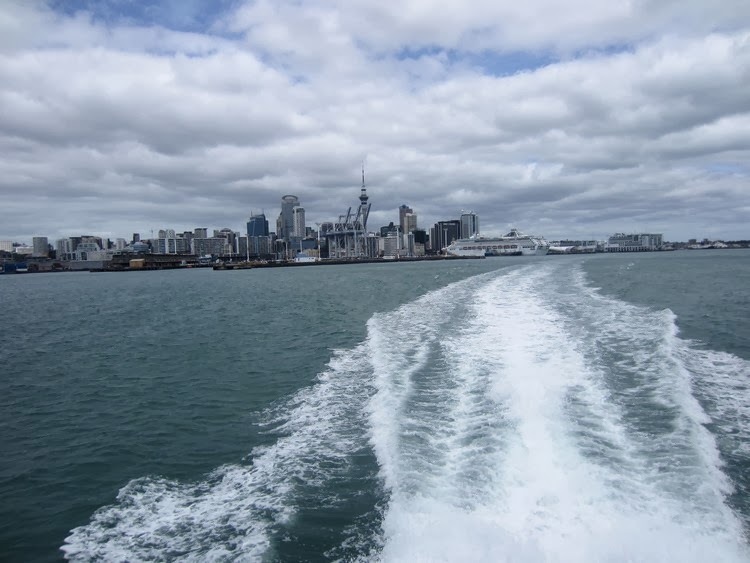 NZ is isolated, as most of you hopefully know, and developed its own ecosystem very different to any other countries. When the Maoris came in like the 1200s and the Europeans in the 1600s, they caused serious damage by killing off animals that did not understand to be afraid of the people (like the moas) and bringing their own animals that also hunted down native animals, or just started competing with them for food and stuff. The notorious possums, rats but also “nice domestic” animals like cats and dogs. So, now the country is making a big effort to preserve everything that is left. Rangitoto became officially pest-free in summer 2011 I think, with the last “pest” (being a hedgehog... see, unlikely pests) trapped in December 2010. Well, I thought it was really interesting. Anyways, where we were. 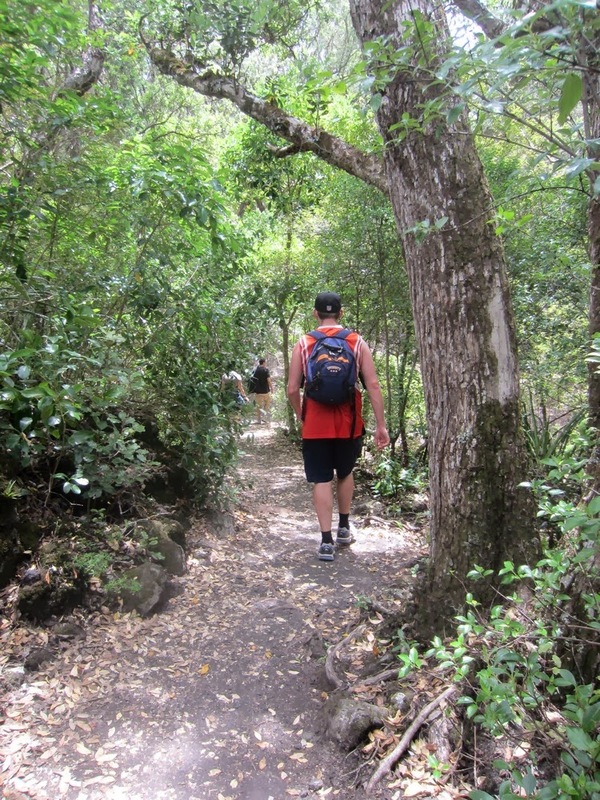 Walk to the summit. Probably the most memorable moment was when we were at a view point over the massive crater, covered in little green trees and plants. 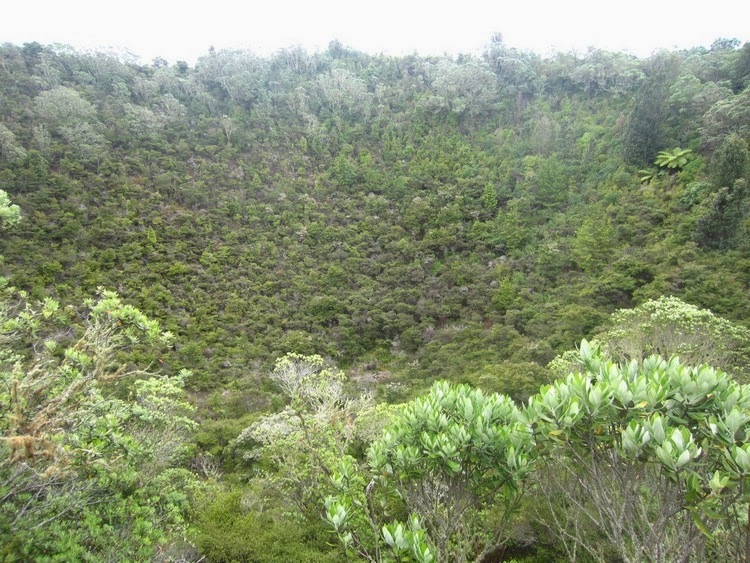 There was a maybe 60-year-old-ish lady near us, who we overheard telling her companions that she had been here as a child, and the crater was completely black, just rock. The summit was cool! Had a nice lunch and heard my first Finns! Got one together photo with CC which I am sorry about since I personally would not like to socialise with people looking like that. I apologise for my double denim (WHY did I leave my black cardi in the UK!?) 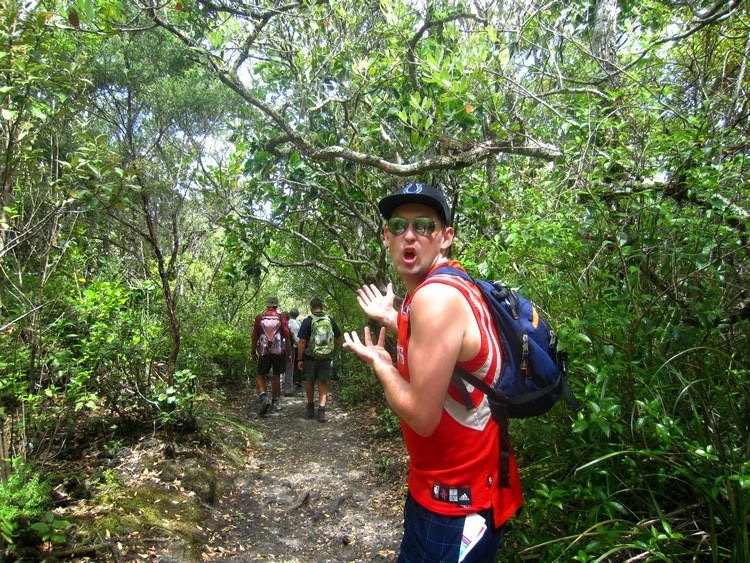 and CC's Southern Auckland gangsta-look. 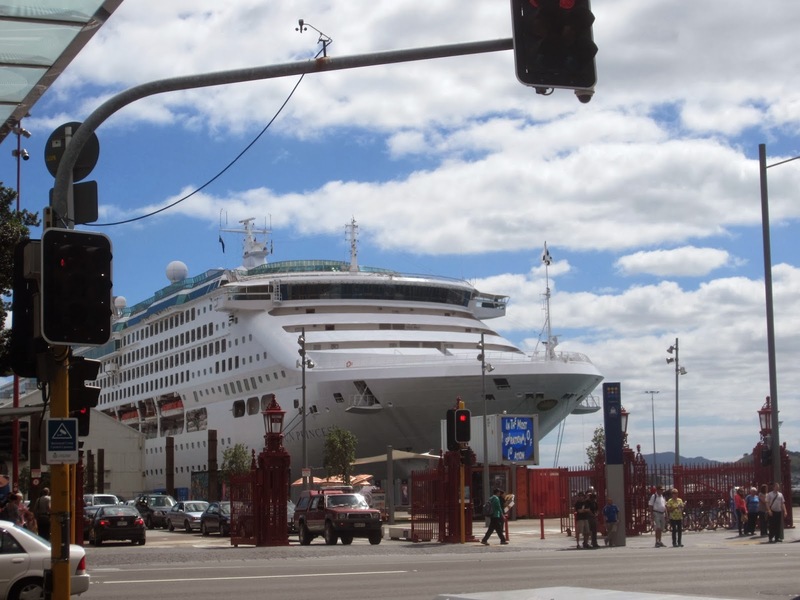 Leisurely walk down, leisurely wait for the ferry, and went back. The evening we spent at Albany shopping centre, where I bought my awesome kiwi wrapping paper and a red dress for Christmas. 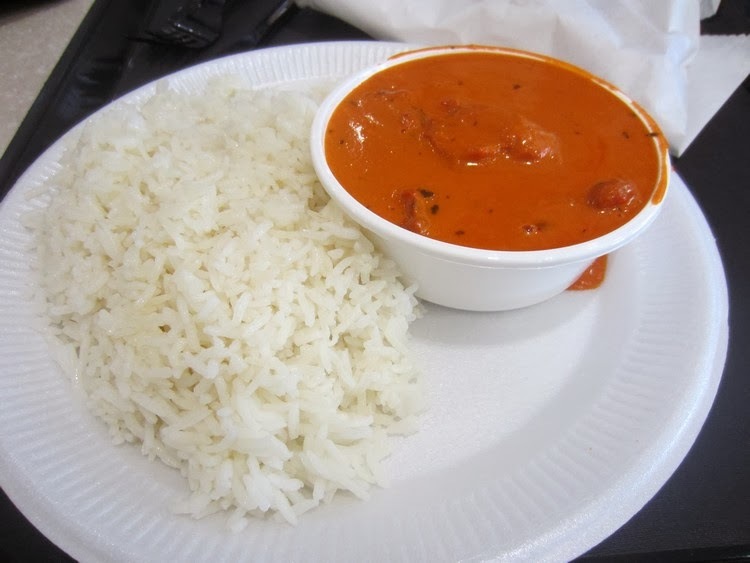 We also tried CC's favourite food butter chicken (was good indeedos), and watched Hobbit part 2! Was awesome. :) And a very appropriate movie to watch in this country. Hope everyone has/had an amazing Christmas!! Oliko yhtään sellaista vaaraa, että matkaoppaasi olisi joutunut kantamaan sinut huipulle? Double denim näyttää ihan hyvältä! Ja seuralaisesikin. Keitäs ne suomalaiset oli? Aatella, että siili on tuholaiseläin! No, kyllähän sen ymmärtää noissa oloissa. Tosi kiinnostavaa juttua niistä eläimistä. Kuinka harmillista, että moatkin ovat hävinneet. Ei mun matkaopas kantais mua huipulle :P Välillä veti mut aina kyllästy. En tiiä ketä suomalaiset oli, nainen oli tosi blondi. Joo siis kaikki Aucklandin kukkulat on tulivuoria. Ja kaikki saaret kans veikkaisin. Tää on tosi volcanic area. Hedgehog - pest? I was reading a Wildlife magazine yesterday and it said that the Hedgehog has been officially chosen (by popular vote) as the National Animal of the UK!